The top WingSuit flyers in the world show us the beauty of human flight. Thanks Jokke! Freefly BASE Redbull Soul Flyers style! 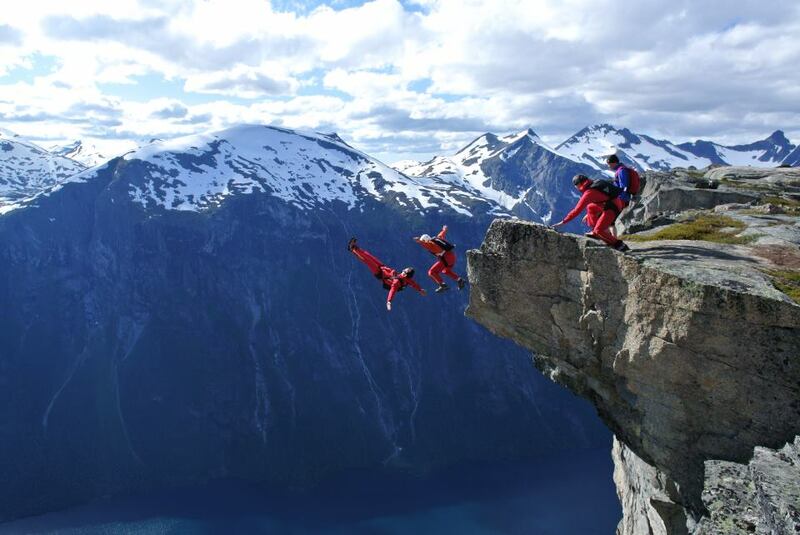 Check out these amazing jumps Fred, Vince and Jean-Phi did this summer in Norway! This is taking it to another level, again! Look who it is! I am on TV! We shot this in Eikesdalen in Norway a few weeks ago. The commercial is produced by Loopfilm AS for Sharp USA. Just had an amazing few days in the beautiful valley of Eikesdalen! This picture was taken by local jumper Eiliv Ruud during the filming of a TV commercial to be released in USA soon. Thank you Fred Fugen, Andre Back and Terje Halvorsen for some nice jumps! Now off to Skydive Chicago for the new head down world record! !